Gowalla has had a good run in the location-based check-in market, taking on Foursquare before getting lapped by its New York rival. Now, the company is confirming a report that it is moving to Facebook, which will use the Austin-based company to bolster its new Timeline feature. The deal spells the end for Gowalla, which will close up shop in January just like many other Facebook acquisitions and relocate to Silicon Valley. Grabbing Gowalla gives Facebook a good team that has recently shifted from gamified check-ins to social city guides that users can contribute to with their own pictures, highlights and lists. Earlier, the company announced it would end the collection of virtual items, part of what I called an evolution in location-based services away from games toward more business opportunities. …We know how much many of you loved Gowalla. It’s been the highlight of our lives as we’ve built it with your help over the past two years. As we move forward, we hope some of the inspiration behind Gowalla — a fun and beautiful way to share your journey on the go — will live on at Facebook. The sale of Gowalla also shows that the location-based market is still in flux, and it’s still not quite clear how everyone is going to make money here. Gowalla launched in 2009 but struggled to compete against Foursquare, which surged past 10 million users this past summer, far outpacing the 2 million users Gowalla had. But Foursquare is also still working out its business model. There is a big opportunity in helping connect merchants with mobile users, delivering targeted ads and offers to them and serving as an alternative to printed coupons and traditional Yellow Pages. But it’s unclear how many competitors can make a go of this and pull in enough money to thrive. Gowalla had previously raised $10 million from the Founders Fund, Shasta Ventures, Greylock Partners and other investors. Facebook has a history of making so-called acq-hires, buying up startups primarily for their talent, not their products. 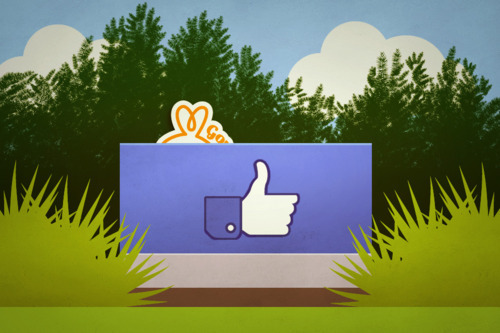 Gowalla is well regarded for its design chops and could certainly help Facebook as it rolls out Timeline, its personal history feature. That could help Facebook compete with a resurgent Path, which just put out a new version of its app designed as a smart journal for users. 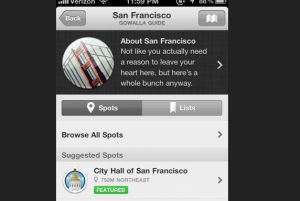 Gowalla could also help Facebook refine its location-strategy. Facebook has pulled back on check-ins and has instead opted to allow people to tag their locations in status updates. Also, Gowalla could help with improving Facebook’s mobile product, which could use a boost especially as more mobile-focused competitors emerge. I liked Gowalla and thought it was a good-looking service. But it didn’t seem to capture people’s attention in the way Foursquare did. Even one of its defining features, virtual items, was ultimately a “distraction” for many users, the company said. The move to become a city guide came late and I noted earlier that it wasn’t clear if it was designed for locals or tourists. Facebook has picked up a smart team with good ideas and it’s going to need them all if it wants to stay at the head of a social market that is increasingly about mobile and location.